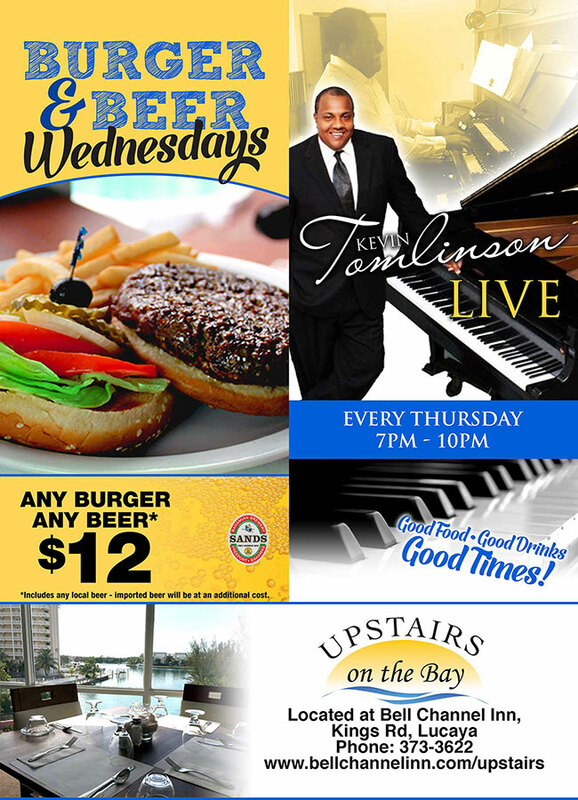 Freeport, Grand Bahama - Don't miss Upstairs on The Bay's Burger & Beer Wednesdays! Any Burger, Any Local Beer for just $12 and Kevin Tomlinson is playing LIVE every Thursday from 7pm - 10pm. Upstairs on the Bay:Good Food, Good Drinks, Good Times!